Amid North America’s worst drug overdose crisis in decades, Vancouver has cultivated two distinct and seemingly contradictory reputations. On one hand, the city’s known to be ahead of the curve on progressive drug policy—always adopting the latest harm reduction practices and testing new addiction treatments. On the other hand, it’s suffered more drug panics than any other Canadian city, and has a reputation for higher-than-average drug use and addiction rates. Vancouver is simultaneously a place the globe looks to for drug policy guidance, and a cautionary tale of recurring out-of-control epidemics. Neither of these reputations are new, of course. 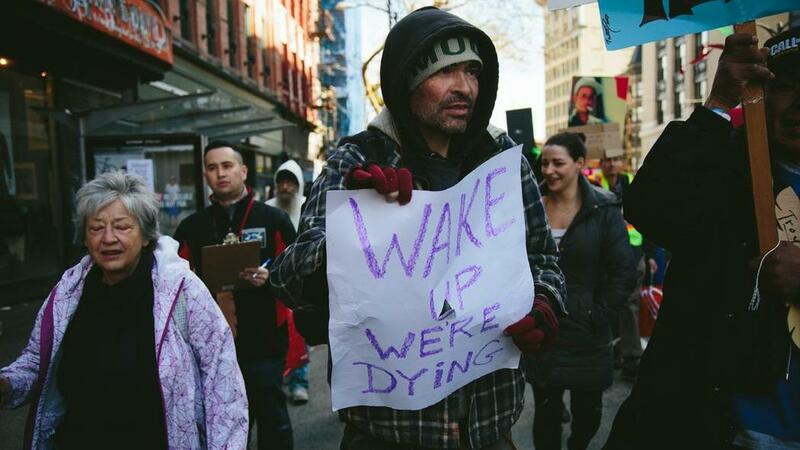 Vancouver was the first city in North America to open a supervised injection site in 2003. And its history of drug panics spans a full century. This has led many outside Vancouver to assume new drug policy developments are somehow a contributor to the crisis—that safe injection sites and similar harm reduction practices actually encourage more users. But if you ask the doctors and researchers who have been studying the city’s drug waves for decades, this is a categorically false narrative that goes against a near century of history. Experts told VICE Vancouver has long been an international drug distribution hub, and that reactionary criminalization efforts, as well as failing social policies, have created a concentrated underclass of marginalized drug users. “Vancouver has always had a high diversity of drugs and a potent supply of drugs,” Dr. Thomas Kerr, associate director of the BC Centre on Substance Use, told VICE. Kerr says many port cities around the world are known for “alarming” levels of drug use, in part because the dope is so strong. To understand how we got here, according to University of Guelph researcher Catherine Carstairs, you have to look back to Vancouver’s first recorded drug panic in the 1920s. Drugs like morphine, cocaine and opium got an early start in the city before any of these were ever made illegal because of its position as an international port. “The supply chains were established and they kept coming,” says Carstairs, the author of Jailed for Possession. 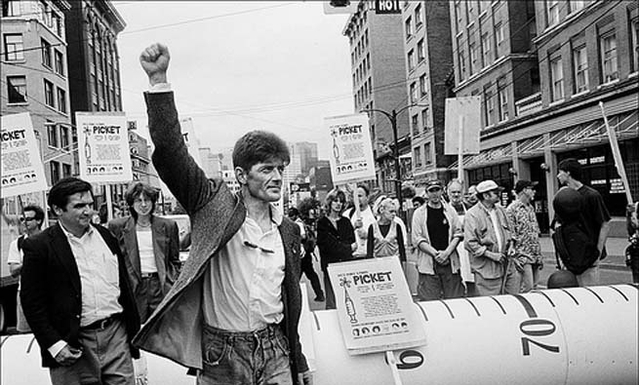 Carstairs told VICE Canada’s early drug prohibition laws grew out of a xenophobic panic rocking the West Coast. At the time “opium dens” were breathlessly reported as a scourge on (white) society, and politicians brought in laws that basically aimed to punish and ostracize the Chinese. Police began raiding dens and deporting immigrants. By the 1930s, white people were a much larger portion of the drug-using public—thanks in part to the deportation and imprisonment of Chinese users—but government compassion for users did not follow. All users faced harsh minimum sentences, even years of jail time for possession of trace amounts. According to both Kerr and Carstairs, these heavy punishments served to create a class of drug users who could no longer hang on to regular jobs or contribute to regular society. Instead they cycled in and out of jail, learning better ways to access drugs along the way. Between 1946 and 1961, more than half of all narcotics convictions in Canada were happening in Vancouver, compared to 24 percent in Toronto. “Because we passed such incredibly harsh laws against drugs, and police were busy enforcing them, it really worsened the lives of drug users,” Carstairs told VICE. This wave of enforcement solidified an underclass of drug users unable to free themselves from poverty or addiction. Through the 50s and 60s Carstairs says drug overdose deaths were surprisingly rare. It would be decades later that opioids became potent enough to kill a person. Addiction was chalked up to personal responsibility, and treatment was not even a remote option. From there, Vancouver’s approach to housing its low-income residents begins to play a role in creating epidemic conditions, according to Kerr. “The fact we have this large network of low income housing that was originally developed for seasonal workers, and over time became homes for the urban poor and the deinstitutionalized mentally ill population, it just created a bad situation,” he said. The Hastings Street drug market first served a high concentration of transient workers in the 1950s, and later an entrenched homeless and low-income population. Kerr says there’s been as many as 5,000 injection drug users living in a few block radius. Meanwhile, cops had a mandate to shake down suspected users at every turn. Police crackdowns continued well into the 90s era as authorities raided “problem premises,” revoked business licences and even imposed a curfew on the Downtown Eastside neighbourhood. Policing in other neighbourhoods pushed street homeless people to further concentrate in the neighbourhood, while low-income housing options in the country’s most expensive city continued to evaporate. Kerr says the social conditions were ripe for more drug waves to come. It’s worth noting harm reduction resources like needle exchanges were not first introduced on compassionate grounds. Carstairs says political support for these programs originally came from fear of spreading HIV to the rest of the population—not necessarily from improving the lives of users. Drug users were literally labeled a contagion. Though all these panics, study after study has proven harm reduction is not to blame. “It’s really frustrating listening to people offering non-evidence based studies, which often happens in case of harm reduction. Intuitively it makes sense—if you provide a syringe, you’re enabling drug use,” said Kerr. However, a scientific evaluation of Insite found supervised injection sites increase the number of treatment and detox admissions. Though attitudes are shifting, Carstairs agrees that stigma is ultimately what fuels Vancouver’s entrenched drug problem. “They’re still pariahs of our society. I think the laws we put in place, even though they’ve been significantly changed, established a culture of seeing drug use as a criminal matter rather than a health matter.” On that front, there’s now a full century of evidence. Lead photo by Jackie Dives.